Many startup owners concentrate on business ideas targeted at the millennial generation. And while this might seem like perfect business sense, it is important to know that according to statistics, people are living longer than ever, with 1 in 5 citizens being over retirement age. So, rather than focussing on a business idea which is aimed at the young, if you are considering a startup, you might want to start a business aimed at the older generation; the so-called baby boomers (born between 1946 and 1964) in our society. To take advantage (in a good way) of our aging population, you might want to consider the following business ideas. Don't assume retirees aren't au fait with the internet. 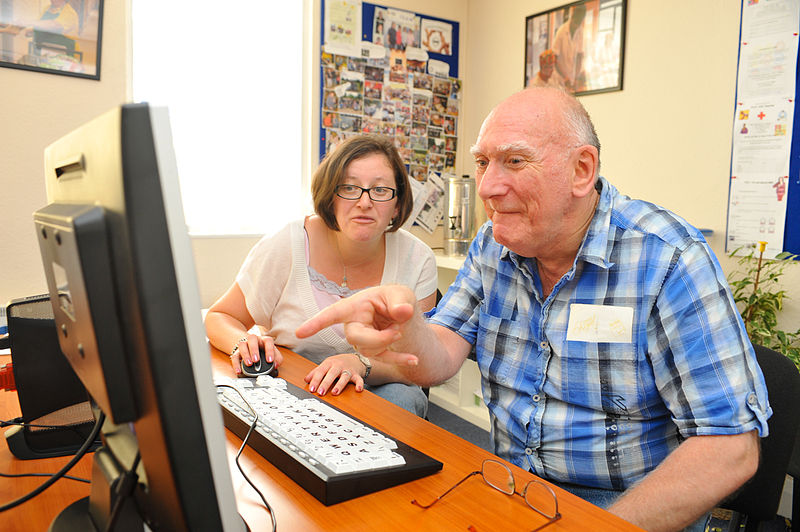 Thanks to the rise of computer classes and adaptable computer technologies, many older people are proficient with internet use. According to this survey, 66% of internet users are aged 65 and older. Therefore, if considering an eCommerce business, you might want to consider selling age-appropriate products. These might include mobility aids, medical equipment, washable bed pads, and special nutritional products. Do your research online and speak to seniors you know, and find out what products are both popular and necessary for the older generation. You will need the right certification to offer financial advice, of course, but if and when you do, your services might be snapped up by those older people looking for help in managing their finances. You can help them maximize their pensions, give advice on where to invest their money, and offer advice in claiming the right benefits. Set yourself up online or on the local high street, and market your services through age-appropriate channels. If you have a flair for the written word, then blogging could be the best business for you. Many older people have time on their hands, so you might attract a loyal following of readers. Blog about subjects that are relevant to the baby boomer generation, such as retirement travel destinations, nutrition, health advice, and topical issues that older people will find useful. You can then make money through affiliate marketing and advertising, focussing on those products that seniors are going to take an interest in. With a decline in health and mobility, baby boomers may need assistance around the home. You could help them in a variety of ways, from mowing their lawns to making repairs around their property. And considering the fact that many baby boomers spend a great deal of time traveling and fulfilling their bucket lists, you might also offer to watch over and care for their properties while they are away. Due to health issues, many older people struggle or refuse to drive, so they might benefit from a transport service. You could pick them up and drop them off at their required destinations, be that for social occasions, or for necessities such as health checkups and grocery shopping. And if you have a minibus, you could also offer day trips to groups of seniors, perhaps with their carers if appropriate. There is advice in the following linked article on how to start a senior transportation service if this is something that appeals to you. The baby boomer market is (and sorry for the pun) booming, so if you are thinking about startup ideas, you might want to explore avenues in this area. We have given you just a few examples of the business ideas open to you in this article, but there are sure to be many more, so do your research to discover other opportunities.